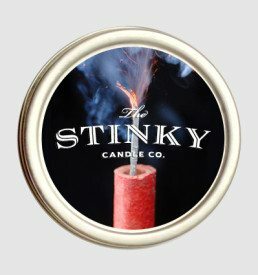 Car Exhaust Candle (4 oz) - Stinky Candle Co.
A candle for car lovers, mechanics, and those that just love the smell of the fumes from an internal combustion engine. 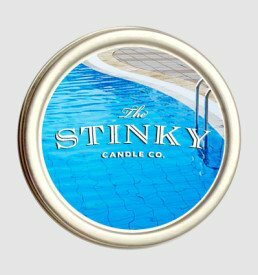 Enjoy the smell without the asphyxiation. Got this for the guys in our family that like to work on cars. No other stocking stuffer like it! This is a cool product, but I was a bit disappointed. This candle is really small. Pay attention to the size. 2 oz is smaller than you think. When you pay $10 ($15 when you add in $5 for shipping) for a candle, you expect it to be at least twice the size of these. Also the smell wasn’t really what I thought it’d be either. I suppose these are the risks you take when you buy something online. I’d be more satisfied with this if had paid $5 for it. $15 is way too much for what you get. if you open the candle, it realy smelly very bad like an exhaust pipe or – it reminded me of old east berlin with all its dirty coal heaters. that was realy a flash back in time. love it! 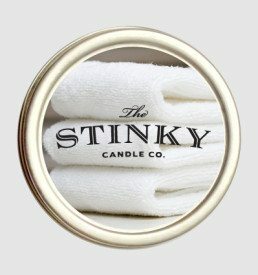 I love the smell of exhaust and I love the smell of this candle. I can’t say it smells exactly like exhaust to me, but smell is very subjective, and it’s close enough. I’ve had many people smell it as well, and the consensus has been mostly that it smells like exhaust or something equally car related. It pleases me.